Bev decided to apply to go to South Sudan to participate in the Strengthening Midwifery Services in South Sudan (SMS II) project as a midwife consultant to share her knowledge and skills and see how midwifery is practiced in another country. She travelled with nurse Barb Leggett and gave a workshop on Respectful Maternity Care (RMC). Bev and Barb offered the 3‑day workshop to 30 people from around the country, mostly midwives and some nurses. 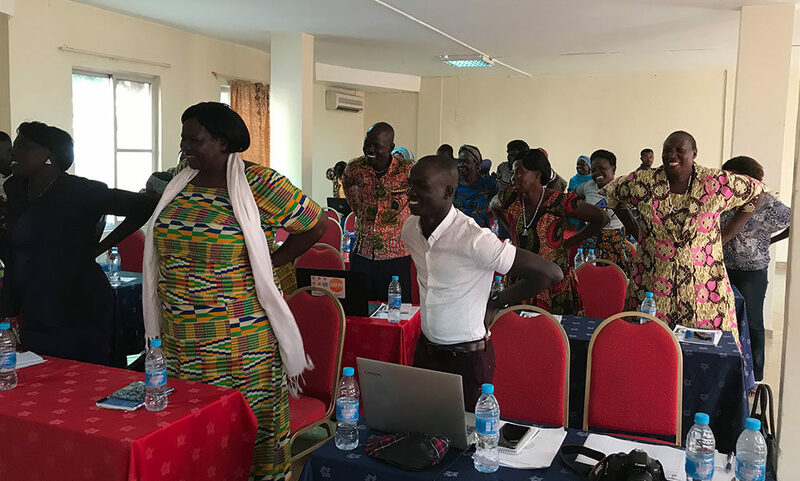 They spent two and a half days teaching the respectful maternity care material, reserving the last half day for the participants to take the material they’d just learned and practice teaching it to each other. She said that the South Sudanese seemed to love the group exercises and opportunities to act out scenarios. They brought up many experiences from their own lives, and even though many participated in Arabic, she could see they were getting a lot out of the material. Still, it was a reality check when they were asked what might stop them from spreading the word about midwifery care, and the response was often, the fear for their lives and that of their family. Bev emphasized that women need to trust midwives and health care workers to want to give birth in health centres. In the past, if a woman was unable to pay for the care she received, they would keep the baby until she could. There was little privacy for visits, midwives receiving women in groups, and the treatment was different for women depending on who they were. 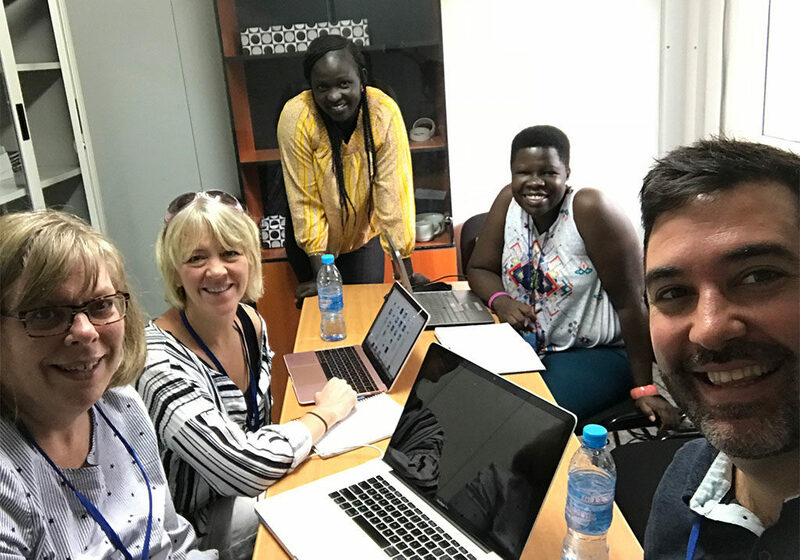 One of the most gratifying experiences for Bev occurred when she was visiting maternity centres in Juba just days after delivering the workshop. The visits were unannounced, but nonetheless when she visited she saw them already implementing some aspects of the RMC, for example, they were looking for ways to be able to see clients one at a time in private spaces. Bev said that disrespectful care and abuse can be from midwives, traditional birth attendants, nurses, doctors and administrators, but the focus of the RMC workshop is teaching nurses and midwives, so they can influence their facility and everyone at it in a safe way. “They need to share what they learned but say it in ways that people don’t get angry with them,” she said, noting that they can’t make these changes by themselves; they need to go back to their communities and get their feedback and participation.